I will be 55 yrs old in another month (ugh!) and have made very poor financial choices in my life. Because of that, I have very little retirement savings (about $8, 000), nothing in my savings account, have a job where I live paycheck-to-paycheck. I do have great computer skills, but no college degree. I have tried to figure out how to make some more money with my computer skills. Right now, I am trying to figure out how to change my financial life. I have a history of health and longevity on both sides of my family, so I am expecting I will live well into my 90s. I’m not sure if I am reading too much into the e-mail, but I just want to make sure that “R” remains focused on the good things rather than on her mistakes. She has great computer skills, and it sounds like she isn’t in debt. That’s not a bad starting point if you ask me. She has also realized that it’s time to make a change, and that’s really important. Lots of people come to see me when they are heavy in debt – and much older. “R” is being proactive here, and that’s great. I love it. I know this sounds corny but the first thing I’d ask “R” to do would be to create a gratitude list, and write down all the wonderful things she loves about herself. This is going to instill a very positive attitude, which will translate into greater financial opportunities. If “R” focuses on the need to accumulate a massive retirement fund, she might get discouraged. A bad attitude is the kiss of death for financial success, so it’s dangerous to think about that right now. For starters, “R” should consider launching a side business or getting a weekend job with her computer skills. Even though she doesn’t have a degree, she should be able to leverage her skills. For the time being, I just want “R” to take action and get some side income flowing. With computer skills, it shouldn’t be hard to do. Once that money starts streaming into her hands, it’ll be time to consider if the job she has is appropriate, or if she can upgrade. I don’t know enough about her situation to say anything in detail here, but she needs to be sure that the job she has is the best value proposition. Once “R” starts working that side business, she should set up a retirement plan. She’s going to have to be willing to compromise. 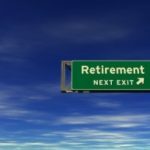 Given her currently small retirement savings, she’ll have to work more years, and possibly live more modestly – but for now she needs to formulate a plan and work towards it. Of course, any financial plan has at it’s core a spending plan. My experience tells me that your spending is the foundation of your financial future. I know plenty of people who earn more than a $1M/year but can’t afford to retire because they spend all of it – and then some! On the other hand, there are plenty of people who have built a wonderful financial future on a relatively limited income. The difference? These people track their spending and understand just how important that is. “R” should create a financial plan for herself, but she shouldn’t dwell on how far she has to go. Her plan is going to change and look better as she bumps up her income and starts tracking her spending. Her plan needs to be dynamic so she can refer back to it and update it often. In summary, “R” needs to approach her situation one issue at a time. If she tries to process it all at once, she’ll be immobilized by fear and panic. Build a rock-solid positive attitude by writing all the lovely, wonderful, and talented things she loves about herself. Implement a tracking system for her budget and spending. Create a mini-financial plan and update it as things improve. Obviously, there are no magic bullets here. But without a firm plan, she’ll go nowhere fast. What other tips would you give to “R”? Regarding tracking spending & budgeting, there is a lot of freeware/shareware out there that can help. I’ve seen some nice budgeting software based on the envelope system. Personally, I find that tracking where the money goes helps me to budget better, and entering each transaction myself (as opposed to simply downloading from my bank account) helps keep me stuck in reality. And the software also makes some lovely pie graphs for me – I love pie graphs! Makes tax time easier too. I set up my bills in the software and include savings as a bill, upfront before I’m tempted to hit the online sales, so the savings always happens. I find that once I’ve put money into a dedicated and somewhat less accessible savings account I really hate to pull it out. I also like watching interest add up (slowly, but hey, it’s money I did not have to work for!). And one more idea – when I feel like I really need a spending spree, I go to the Thrift Shop or Goodwill. I can satisfy my spending itch without busting my budget. I make sure to take a donation at the same time so I don’t overstuff my closets. Go R! Two steps forward, one step back, but in the end you will get there! R, you are not alone. My wife and I are in the same boat with about the same amount of cash. The only debt we have is our car, and I’m thinking of selling it and paying cash for a used one. In any case, it’s not the best place to be, but probably not the worst either. The main thing to focus on is not being in debt. Debt will wipe out any savings. Pay cash for everything you can, and try to get a job with a 401K if you can. Something is better than nothing. Also, build a support system that you can count on. There are still places where communities of friends/family do things for each other in time of need. Build yourself a network of people who can count on you to help and vice versa. Maybe you can find someone to live with to split expenses. That will be an immediate help. First, my heart goes out to you R. I know you can do this! We are a community here and everyone wants you to be in a better place, so if you think any advice sounds harsh, just remember it is meant to boost you up. I think if you are working paycheck to paycheck, you probably don’t have a ton of time to be reading financial blogs or looking for a second or better job. I would focus on cut, cut, cutting spending. The second thing you need to do is start retirement saving immediately. It doesn’t matter if it is just $1 or $5 a week, whatever you can lock up and not touch again will help you. Start with an online savings account and once you have the minimum I would drop it into a CD or IRA so you really can’t touch it. Finally, keep up charity, because so many are worse off than you and I, and we need to stay grateful, and giving of our time or pockets keeps that in perspective. I wrote about this very same problem today that Baby Boomers are facing…the lack of adequate retirement savings. The advice on a second job is spot on, but she needs to look at what she is currently spending. Chances are that she can save. First and largest expense is probably housing. She might need to move somewhere cheaper and/or smaller or maybe in a less desirable neighborhood. That would yield the largest savings. Second is probably entertainment spending. Drop the cable TV, home or cell phone (keep one of the two), stop eating out and start bringing lunch to save money. When grocery shopping check out some of the grocery deal sites like couponmom or krazycouponlady to see where you will get the best deals. Plan before going. If you are getting a big tax refund at the end of each year, adjust your year long exemptions on a W4. Not a lot of information here to give advice. What does she do for a job and what does it pay? Does she have debts and what are they? What interest rate is she paying? Does she have spouse or children? The essential problem is “I live paycheck to paycheck”? She needs to examine why. If she is not tracking spending, maybe she should start so she can analyze her options to make spending cuts. I suggest to keep reading the personal finance blogs to educate herself about ways to save money and what she should be doing to plan for retirement. The suggestions on obtaining additional income are good, but she needs to look at why she is in her situation in the first place and then make adjustments. She mentions poor financial choices made, but does not give enough specifics. A penny saved is better than another penny earned because you don’t have to pay taxes on it again. I think she needs to write a budget and cut expenses. 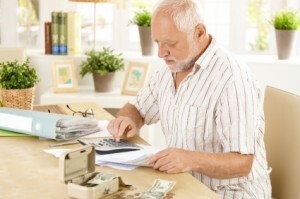 The less she spends the more she can save and the less she will need to have for retirement. She can start reading this blog and other money blogs to help herself. Maybe she can cut expenses down to the point she can live on SS. I’d be looking for a job that paid more (or work more hours), and reduce spending. Living paycheck to paycheck cant be sustained, any surprise expense will drive you into debt.